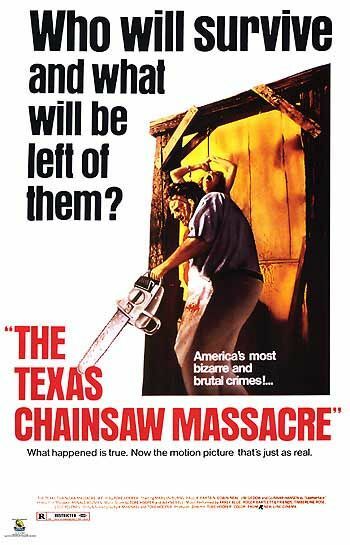 The Texas Chainsaw Massacre (1974) is a film about five stupid teenagers who find themselves in the claws of a deranged, cannibalistic family who take no prisoners. Four of these teenagers get killed off at the beginning of the film and the rest of the film pretty much follows the psychotic torture of a poor young girl named Sally. 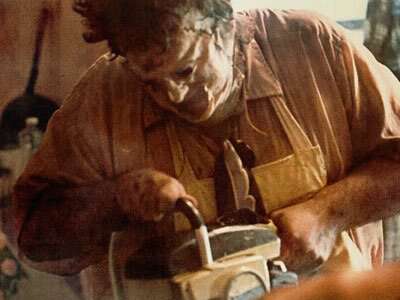 There is also a guy called Leatherface, the films villain, who waves his chainsaw around like a maniac in pure, unforgiving fury. When you put it like that, it just sounds like any other horror film. But when you watch the film itself, you will realize that there is no other horror film like it today, nor will there ever be. The film starts off easy enough, and you pretty much know what's coming after they run out of petrol and have to go to a nearby house to ask for help. Sure, the plot sounds simple and cliché, however it isn't about that but the events that happen, which are horrific and terrifying at equal measure. Back in it's heyday, it was named the most violent film of the decade, but nowadays when you watch the film you wonder why, because there is actually very little violence, especially by today's standards. 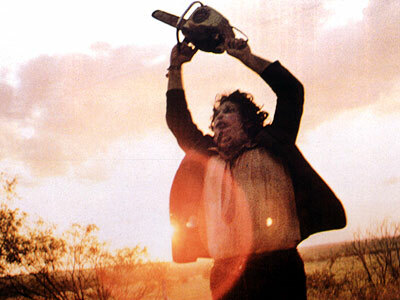 But the main key to the sheer intensity of The Texas Chainsaw Massacre is mind tricks. They are coming off the walls. The film itself was filmed in a very low budget on a hot summer in 1973, but because the cameras used are inexpensive and the set designs themselves can be a little tacky in some places, the film is given a gritty and realistic feel like no other. In my head while I was watching it, I thought the film could almost be a documentary. 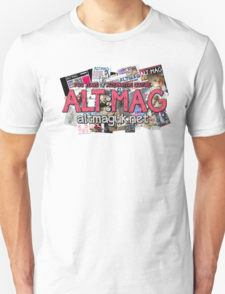 It looked so real, even though most of the stuff probably wouldn't happen in real life (that's just me being naïve really, I know that there are some deranged people out there, but I love thinking that the world is a happy place where everyone holds hands and smiles at each other). A scene that pretty much encapsulates the intensity and brutality of the film in one swipe is the dinner scene. Sally is tied to a chair whilst the villains of the movie are taunting her, then they bring 'Grandpa' down, and they stuff Sally's finger in Grandpa's mouth. Sounds like the least scary thing you could ever watch right? Well, think again. This scene pretty much represents Psychotic behavior at its finest, and the villains show no mercy for the character in question. It looks like they are actually enjoying watching her be in pain. 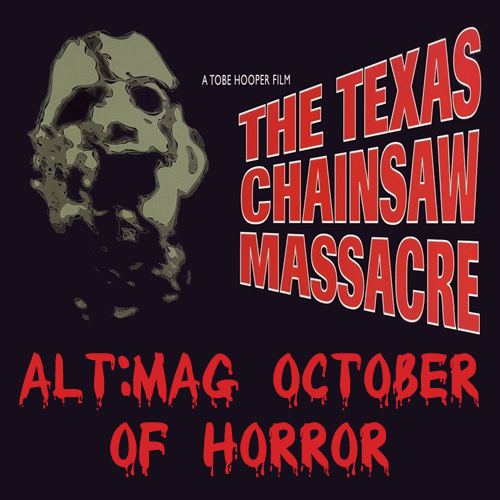 The Texas Chainsaw Massacre is a must watch for anyone who is in to film, even if you're not into horror, you should still give it a shot. It is an intense thriller that is captivating and horrifying at equal measure, it is the epitome of the classic horror film and is the main reason why the most brutal and uncompromising horror films were made after it.